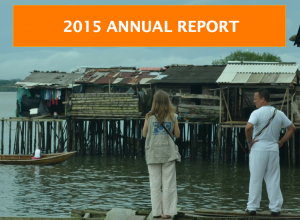 FOR Peace Presence is excited to share our 2015 Annual Report. This past year was full of significant achievements for FOR Peace Presence, both in our work to defend human rights and the environment and within the organization itself. We’re proud to report that on an operating budget of just $143,787 we provided 391 days of physical accompaniment to five communities, three organizations and two human rights defenders plus conducted 53 political advocacy meetings to support our partners and work for human rights and social justice in Colombia. Download the full report here for more programmatic highlights, beautiful photos of our team and partners in action, and a financial overview of both income and expenses.